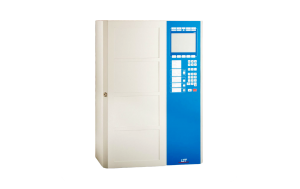 The LED Display Field LAF648 is used to indicate the events of detectors, detector zones, actuations, trans‑ mitting devices and alarming devices as well as system functions on a Fire Detection Control Panel Series BC600. 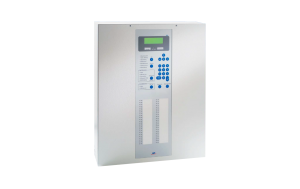 The LED display field can be installed in any free moun‑ ting space in the door of a fire detection control panel in a wall-mount cabinet or on the front panel of a Fire Detection Control Panel BC600-CE8Lxx. The display field of a Control Panel BC600-E in a switch cabinet is installed in the Display And Operating Front Panel ABP600‑1L or in the Expansion Front Panel EFP600-1. The LED Display Field LAF648 is actuated via the UI bus of the control panel. On the display field, 48 LED pairs are arranged in three rows of 16 pairs each. Each LED pair can be freely assigned to the individual events. The left LEDs are in‑ tended for displaying the alarm or the activation, or for displaying a system condition. The right LEDs indicate the disablement or fault condition of the assigned sys‑ tem part. The LED display field is available in several versions with different LED colours for varying applications. In the case of the LED Display Fields LAF648-2 and LAF648‑3, the light colour of the left LED of each pair can be para‑ meterised individually. 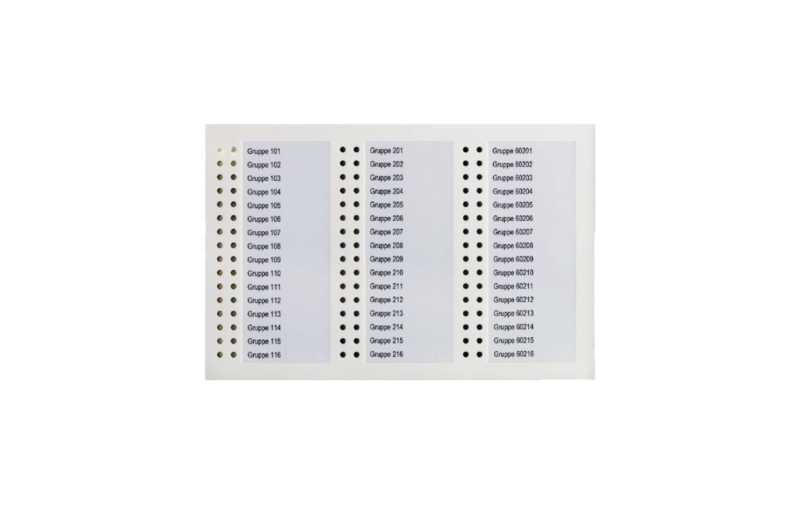 Each LED pair can be individually labelled by means of labelling strips which are inserted behind the front foil of the LED display field. The display field comes with the necessary accessory for trouble-free mounting as well as the needed cables.